The HP ProBook 430 G5 is HP’s low cost answer to enterprise or education laptops. The main difference between the HP ProBook 430 G5 and the HP ProBook 430 G4 is the CPU upgrade and some cosmetic changes to the outside of the laptop. For me I preferred the silver plastic on the HP ProBook 430 G4 and if you want to see the 123myIT review on that model check it out here. The CPU is a 8th Generation Intel® Core™ i5-8250U Processor, up to 3.4 GHz with Intel®Turbo Boost Technology, 6 MB cache, 4 cores. This model also has a 256 GB M.2 SSD, this means that the computers overall performance will be much faster then the HP ProBook 430 G4. There is enough power in this laptop to do some video editing. This laptop can play some games but not really recommended as it has an Intel® HD Graphics 620 built in graphics. If you are looking to play the latest games maybe try and get a Nvidia or AMD Graphics card in your laptop. Prices for this model start $639USD and the model we got came with a free HP carry bag. So its a pretty good deal if you actually use the carry bag. One of the negatives to this laptop is the trackpad. I find that I am constantly missing the area for a right click. This means that when I want to right click I have to press the trackpad several times to find the right spot. While this is not a massive deal it is kind of frustrating and should be something that HP take note of moving forward with new laptops. I hope you liked this video and that it helped out. HP ProBook 430 G4 Notebook – MacBook Killer? This video will show you an unboxing of the HP ProBook 430 G4 Notebook. This video will show you an Unboxing & First Look at the HP ProBook 430 G2 Laptop. I had a chance recently to Unbox the HP ProBook 430 G2 model and I must say it has a very nice sleek design, however not much has changed over the HP ProBook 430 G1 model. If you are looking for a Windows based laptop that you would use for web browsing word processing and a bit of YouTube play back then this laptop might be for you. If you are into gaming then I would suggest you probably look else where. While this laptop can run games its more designed for corporate use. If you did want to play games on the laptop then you would be advised to upgrade the memory in the laptop so that you have a second working memory module. Once this is done the memory will work in duel-channel mode and you will get more performance out of the GPU. One change from the G1 model is the removal of the separate headphone and mic jack and this has been replaced with an all in one combined mic and headphones port. The display is probably the least exciting part of the G2 while the laptop is designed for indoor use the screen just isn’t as bright as other laptops in its class. Battery life is pretty good with this model and power consumption when the device is idle is low. This is really good because it mean if you step away form the laptop you can expect the battery to last even if you are not using the laptop. You can expect the battery life to last around 4.5 to 5.5 hours depending on use, so that actually not to bad. For a more in deapth write up you can check out a great review on the HP ProBook 430 G2 at the NotebookCheck website here. Want to buy this model? click here. This video will show you the HP Chromebook 11 11-2001TU Unboxing & Review. 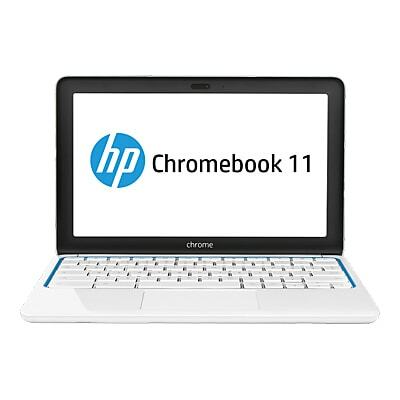 This video will show you an Unboxing Review & Firstlook at the HP Chromebook 11 – 1101. Want to Buy the HP Chromebook made with google ? click the link below. This video will show you an Unboxing and First Look the at HP Probook 430 G1 Laptop. Want to see a review on the bigger brother of this laptop? click here for the review on the HP 650 G1 Probook.